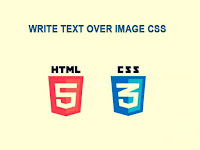 After float html tag like div images li ul p , the design broke and the layout of the page destroyed . to fix this there is so much method some of them works in all the browsers and some of them works in modern browsers, so let's see how to fix it ! 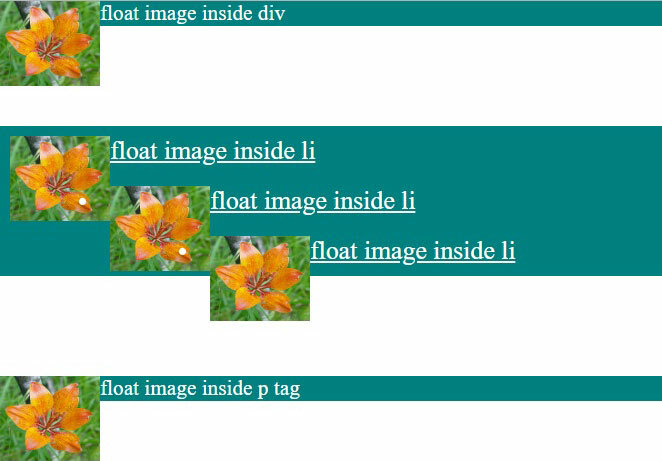 In most case css float problem happen because of the size of the object images or div or li not defined , after you apply a float to an image or div that doesn't have a fixed size , you confuse the browser so he calculate the available free space and put the next object at that space . 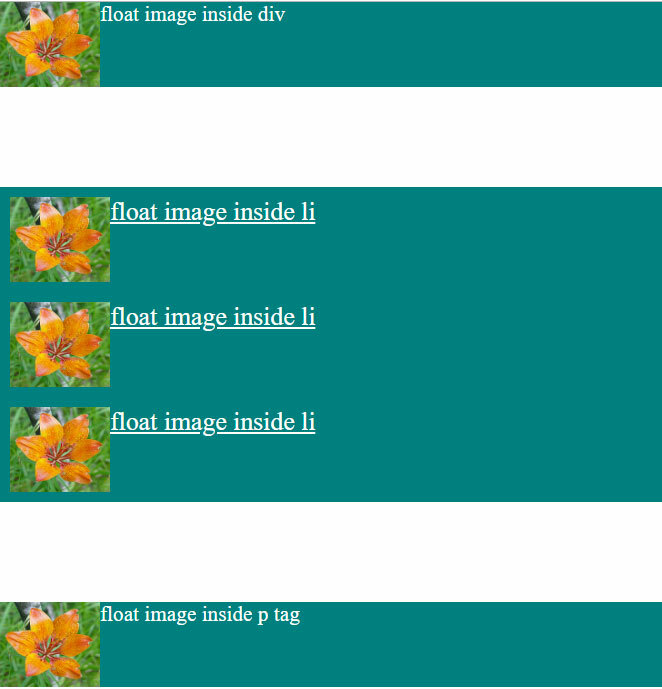 This is the normal code , in that code there is image inside <div> with text , when i want to float image so the text come beside the image the layout destroyed and you see the green color stop only after the text end . The most easy way to fix float problem is to add overflow:hidden to the parent div this method works fine in most the browser , but it sometimes hide your text if your text cross the layout so it will be hidden . and if you use overflow:auto so if your text cross the layout there will be a scroll bar inside your div . My second method is to add a clear float after every float , this method fine but you have to add a clear float with clear:both after every float you did .